Hi, my name is Clayton MacKnight. I’m currently living and working in Osaka, Japan. I’ve lived in Japan for over 12 years and have been studying Japanese for even longer than that. I’ve recently passed N2. Currently, I’m spending most of my waking hours helping others pass the test and building high quality JLPT resources as well as finding time to study for JLPT N1. I was never ‘good’ at languages. I always had to study a little harder than everybody else in Spanish class, but now I’m living and working in Japan. This makes it crucial for me to learn and speak Japanese fluently. To that end, I hope to continue my studies and perfect my Japanese skills as much as I can. When looking around for resources and information on how to pass the JLPT, I had a hard time finding good, easy to follow information. So, I started this website to help others pass the test in less time and with less pain. I don’t know about you, but I spend around 2+ hours every day studying Japanese. I even live in Japan and I have to study this much! This still doesn’t make the JLPT any easier. It’s a hard test, but a good measurement of your Japanese ability. Over the years, I’ve discovered some secrets and shortcuts to help study and minimize the time it takes to study for the test. I started JLPT Boot Camp to share that information with others. I hope you find the tools and information available here useful. I already said I’m not a natural at languages, so I understand the feeling one can get when you try to study for something this difficult. 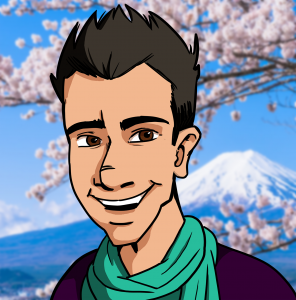 With this in mind, I’ve done my best to create a resource that helps you learn Japanese without being a natural. It’s still not going to be easy, but I hope to make it easier. I’m looking forward to connecting with you here on the blog, through email, or on Twitter. Thanks for visiting, let’s pass this test!